Llandegai lies 1 miles south-east of Bangor. In the far right distance Penrhyn Castle is just visible in the trees. 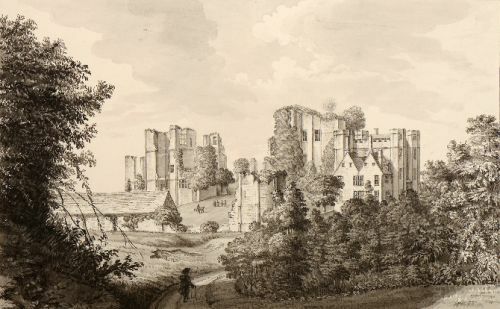 At this date it was still a medieval manor house before being transformed into a 19th century neo-Norman fantasy castle by the architect Thomas Hopper in 1827 by another member of the Pennant family, George Dawkins Pennant. Llanidan is a parish sitting on the banks of the Menai Straits in south-east Anglesey which includes the village of Brynsiencyn. 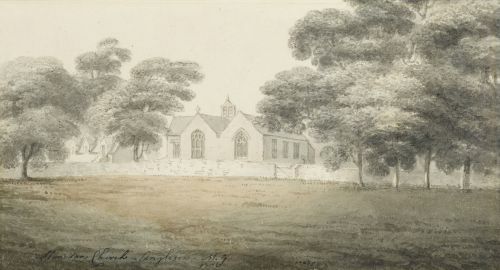 This shows old Llanidan church dedicated to St Aidan, a seventh century bishop. 178 x 275 mm., 7 x 10 ¾ in. 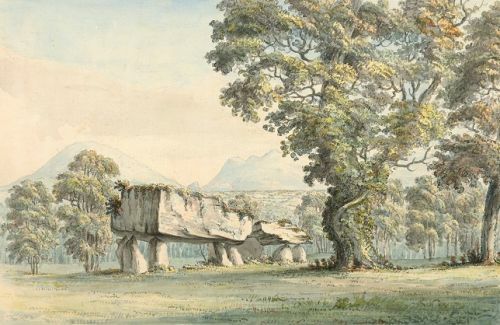 The cromlech at Plas Newydd, the home of the Marquesses of Anglesey, sits on the lawn not far from the house. A cromlech is a Neolithic burial tomb. 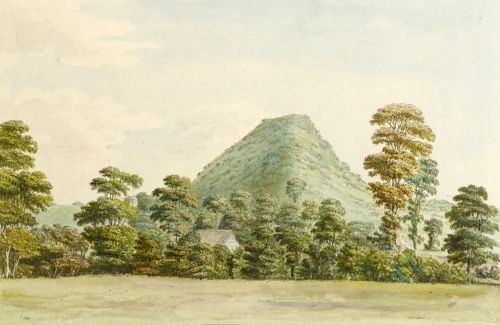 Moses Griffith was unusual as an artist in that he was employed solely by the Pennant family of Downing in Flintshire throughout his working life. He was born at Trygarn on the Llyn peninsula, Caernarvonshire and entered the service of Thomas Pennant (1726- 1798) in 1769 living all his life on the Pennant estate at Gwibnant. He accompanied Thomas Pennant on all his tours of Britain except one producing watercolours and continued working for his son David after Thomas's death in 1798. 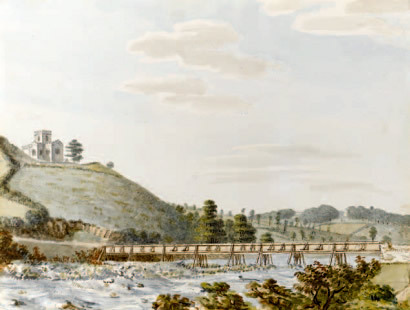 He is best known for his views of North Wales and produced the illustrations for Thomas Pennant's three volume `Tours in Wales'.